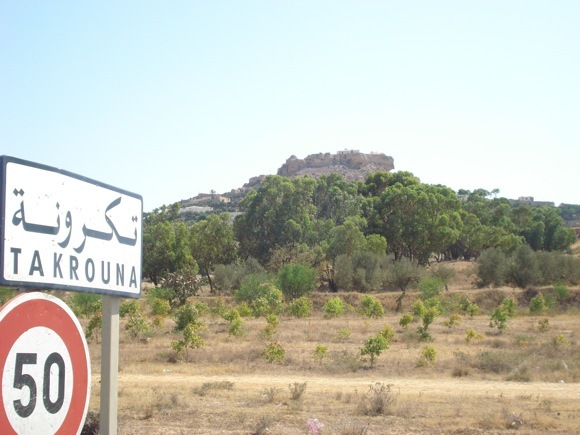 Takrouna is a small village in the Tunisian Sahel region, located about six kilometers west of Enfidha, towards Zaghouan. 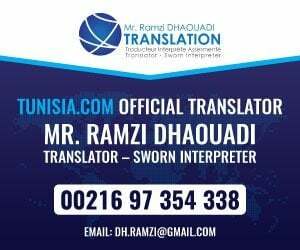 It’s built on a high rock 200 meters above sea level overlooking the surrounding plain, overlooking the Gulf of Hammamet, with Sousse & Hergla to the east, Djebel Zaghouan to the north & Kairouan to the South. Historic Takrouna (?????? 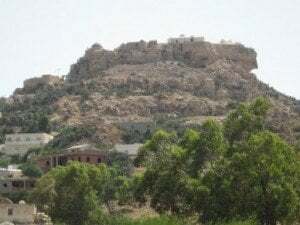 ), situated 6kms west of Enfidha towards Zaghouan in the Tunisian Sahel region, is one of the few Berber hill villages that you’ll find on the Dorsal Mountains. 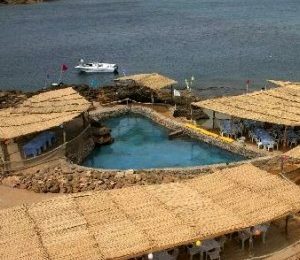 It’s built on a rock rising to 200 meters above sea level and overlooking a surrounding plain, the Gulf of Hammamet, Sousse, Hergla, Zaghouan and the plain of Kairouan. 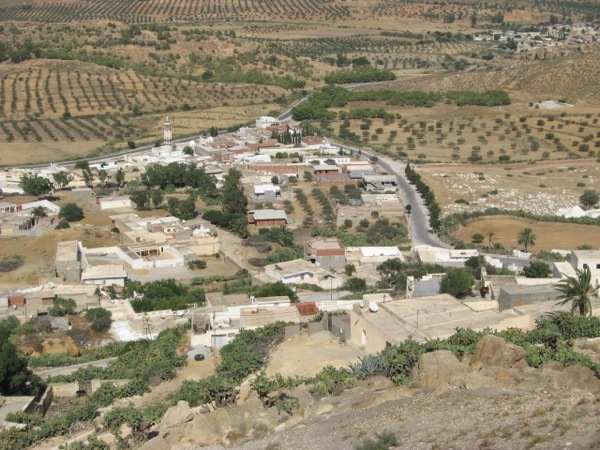 This impressive village is of Berber origin and its present name is probably related to a tribe that migrated to Andalusia in the eighth century and its name, Ta Kurunna in a mountainous region near Málaga.. Following the expulsion of the Moors in 1609, an immigrant family would have settled in the village and would have given it his name. Lest we forget, one of the 2nd World War’s definitive battles took place at Takrouna where the New Zealanders made the Germans leave their position, on 12th April 1943. During WW2, many people died defending the strategic hill of Takrouna and when you see it, it’s not hard to see why it was such a valuable place to hold and why so many sacrifices were made.with great loss of life. 10,000 French troops were killed or wounded out of a total force of 75,000 during the storming of Takrouna. 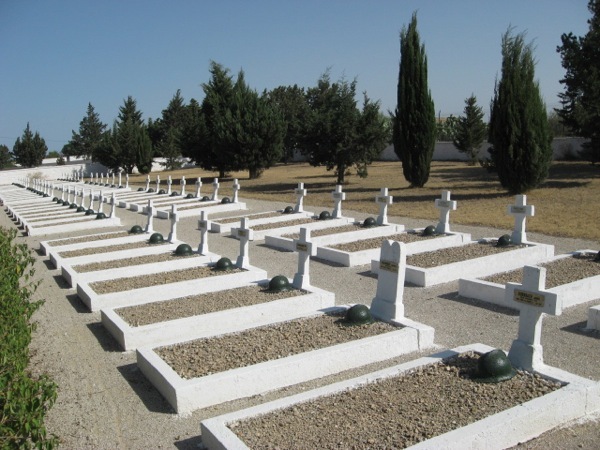 From Enfidha the road to Takrouna is well signposted and on the way you’ll pass on the left hand side, the French Military Cemetery where hundreds of soldiers were laid to rest including many Tunisian soldiers buried near their French counterparts. (There’s also a Commonwealth War Cemetery in nearby Enfidha). The Rock of Takrouna, a pinnacle not unlike the Athenian Acropolis, rises to a height of over 600 feet and stands like a grim forbidding sentinel, resting on a massive foundation of solid rock twenty feet deep, Taking the Enfidha – Zaghouan road brings you to Takrouna and the imposing the rock of Takrouna looks almost like a Scottish castle perched on the hilltop. The houses wind up around the road, or ‘piste’ as they call it there, after having driven up and down this very steep narrow hill, I can understand why! Bit of a white knuckle drive at points. Years ago, life at the top wouldn’t have been practical for the families living there as they would’ve had to herd their animals in every night Nowadays, the three families that still remain there at the top are dependant on the tourist trade and have transformed houses into a cafe, Les Théières gift shop and the painter Ali Bellagha has made Dar Gmach the museum in the village. There’s evidence of fossilised shells scattered in the rock formation. Only some streets and the zawyia keep their original charm. But its location, on the top of a rock is very impressive and the views from there are superb:- the Mediterranean Sea on the east and Zaghouan Mountains on the west. Apart from the commanding views of surrounding countryside, it is said that Takrouna offers the best sunset in Tunisia. 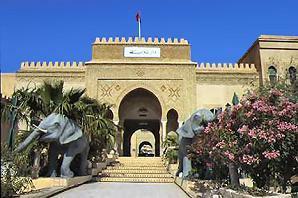 If you are staying in the Hammamet or Sousse areas, Takrouna is a nice idea for a day trip.